For a woman who’d probably killed her traitor business partner, Julieta didn’t seem too ruthless. Everyone warned me about her, but she mumbled and barely looked at me as she set the box of potted plants in my passenger seat and gave me my instructions. Each pot held a little tangle of very thin, slick vines and radioactive orange flowers, the petals floppy and pointed, like a jester’s cap. Connoisseurs would dump money to get Julieta’s homegrown carnivorous plants, the trendiest illegal collectible on the West Coast. She kept pawing at the vines as she murmured. I wasn’t actually sure she’d killed anyone; all anyone ever warned me, when I told them I’d become her new delivery girl, was that Julieta couldn’t be intimidated. Don’t try to strongarm her, she’s not afraid. But still I felt like I could berate her into any arrangement I wanted, with enough time. I sure wasn’t afraid of the trophy boyfriend I’d heard about—Kyle, her gorgeous little lapdog. And I only assumed she’d killed her partner because I kept hearing that the partner hadn’t been seen in San Fran for weeks. I could picture muttering Julieta hunched in a swampy greenhouse, feeding the plants freeze-dried maggots with a tweezer. Julieta still wouldn’t look at me. That confirmed my theory, though it still didn’t explain all the warnings I got. It might be crazy if you ran an Etsy shop selling homemade cat collars, but if your line of work was hawking illegal carnivorous plants, killing your traitor partner just made good business sense. What else did I know about Julieta? Another friend once showed me a picture he’d taken at a party of hers. A golden dream of a twenty-year-old with his marble-sculpture arms clung to her scrawny shoulders. Amber must’ve been jealous of the money and pretty Kyle, who Julieta showed off like an Olympic medal. I thought Californians must be soft. Afraid of a dinky, scrunch-faced gardener woman just because she came to the coast with nothing and made a hot pile of money with her plants. Well, not me. I let some ideas turn in my head and smirked at her, reaching for the ignition. She’d cut me off. Her voice came a little clearer. She caressed the edge of a petal with a fingertip, gazing at it with soft eyes. Those flowers on the meat-eating vines were the gooiest nuclear orange I’d ever seen. Julieta looked straight at me for the first time. I gave her a withering croak. 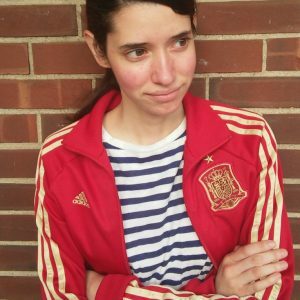 Carmen Jaramillo is a Minnesota-born, half-Panamanian pulp writer. 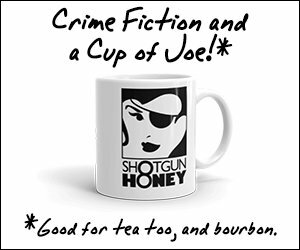 Her stories about women behaving badly have appeared at The Flash Fiction Offensive, Crime Factory Magazine, Noir at the Bar, and Akashic Books’ Mondays Are Murder web series. She lives in Chicago and currently works on a novel. Hit her up on Twitter: @jaramilloc2.